I borrowed this book from my local library and got stuck into it as soon as I got home. 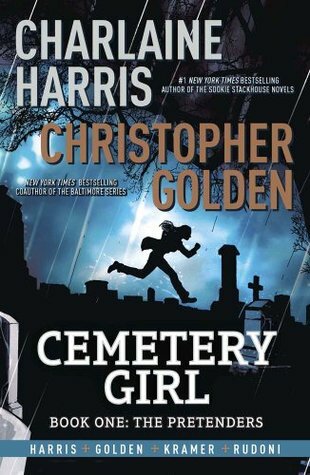 I'm a huge Charlaine Harris fan, so I was looking forward to reading this graphic novel. When a young girl is dumped in the cemetery and left for dead, she eventually wakes up and is sure she was dead for a while. She doesn't remember how she got there, why she was dumped, or even who she is. So she decides to hide in the cemetery and builds a life for herself by hiding in a mausoleum and stealing food from wherever she can. Except there are two people who catch on and are willing to help her--the groundskeeper, and an elderly lady. Kelner and Lucinda help keep Calexa--she names herself using names from the headstones around her--safe, fed and clothed. I loved this! Not only was the story interesting, but the artwork is beautiful. I also really like Calexa and feel so bad about what happened to her. I can't wait to find out more, and really enjoyed her interactions with Kelner and Lucinda.